Every time Junior Galette is set to return to the field, it seems something else sidetracks him. The Washington Redskins linebacker hasn't played a game in two years. He was first sidelined after tearing his left Achilles tendon, then he tore his right one. Now Galette has been bothered by a hamstring injury during training camp and missed the Redskins' first two preseason games. But the end of the frustrating journey is near, maybe. He was finally back at practice this week and ramping up his activity, Galette hopes he can play Sunday against the Cincinnati Bengals, which would be his first NFL game since Dec. 28, 2014. "It's been two years, so now it's getting to the point where it's like a movie that was supposed to be released and keeps getting postponed," Galette said Thursday. "I just want to go out there and actually prove that I am everything they expect me to be." Galette said the movie should be something memorable like "Achilles: Return to Troy." After the Achilles injuries cost the 29-year-old two seasons in the prime of his career, Galette just being healthy and playing is a movie the Redskins are willing to pay for. 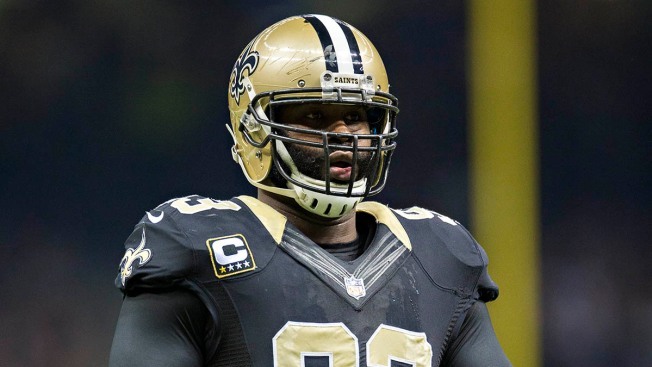 After back-to-back devastating injuries, Washington signed Galette to a third contract this past offseason. Coach Jay Gruden said there was no hesitation in committing to Galette again. "It was just awful for him and to just close the book on him and say goodbye, I just didn't think would be the right thing to do," Gruden said. "Our organization, I think, made a good call and brought him back again and we're glad we did because he has shown flashes out there, being very explosive and very good." Galette's highlights occurred early in camp before the hamstring injury flared up. Given that it has been so long since he has played, the coaching staff places more value in seeing Galette play in the preseason than, say, tight end Jordan Reed, who missed almost the first month with a toe injury. "Jordan has been playing," Gruden said. "So I would like to get (Galette) out there, but I also don't want to jeopardize his hamstring and have him re-injure it. There is a fine line there. We will have to wait and see how he does." Galette is a game-time decision for the Redskins' third preseason game, traditionally a dress rehearsal for the regular season. Starters may not even travel for, let alone play in, the final preseason game at Tampa Bay. That means Galette has one real opportunity to knock the rust off and show what he can do before Week 1 against the Philadelphia Eagles on Sept. 10. Defensive coordinator Greg Manusky called it "majorly important" that Galette play in an exhibition game. "We have got to see him that way because he hasn't started, he hasn't played in two years," Manusky said. "During practice he has been doing a great job. He is confident in his abilities. His abilities are very good right now. I think right now learning the defense, he has done a great job, but he has been banged up. I want to see him against good personnel and see what he can do." So do fans who have wondered on social media about Galette's status. He wonders himself how he'll feel running out of the tunnel for a game again, so Galette is just fine with fans questioning what he'll be when he's back. "But if they remember that Junior Galette's still on this roster and he's dynamic, explosive athlete, double-digit sack guy, it's very exciting. You want to bring that challenge to yourself."